Located in downtown Albany the Renaissance Hotel is downtown Albany’s most unique, funky and impressive hotels. 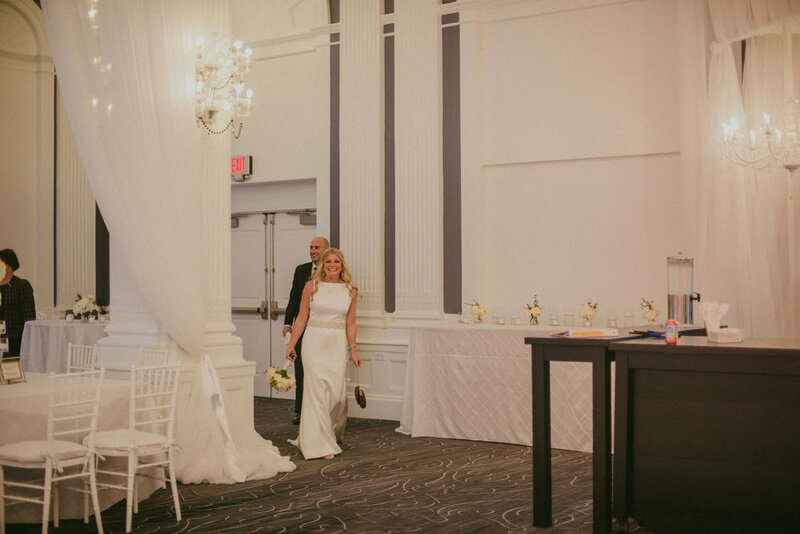 In the former historic DeWitt Clinton Hotel, the recently renovated ballroom is designed to look classic yet modern with columns, decorative crown molding and dazzling chandeliers. The wood paneling in the lobby and beautiful marble floors will surely impress your guests as they arrive. The all white ballroom allows flexibility when it comes to deciding on a color scheme and décor. The space can be completely transformed by adding uplighting, drape, and lounge pieces. Total Events can utilize the columns to create separate ceremony and reception spaces, or small nooks for lounge furniture. To match the ballroom, we also recommend featuring our white dance floor! For an all white wedding inspiration look no further than Becky and Tim’s wedding. 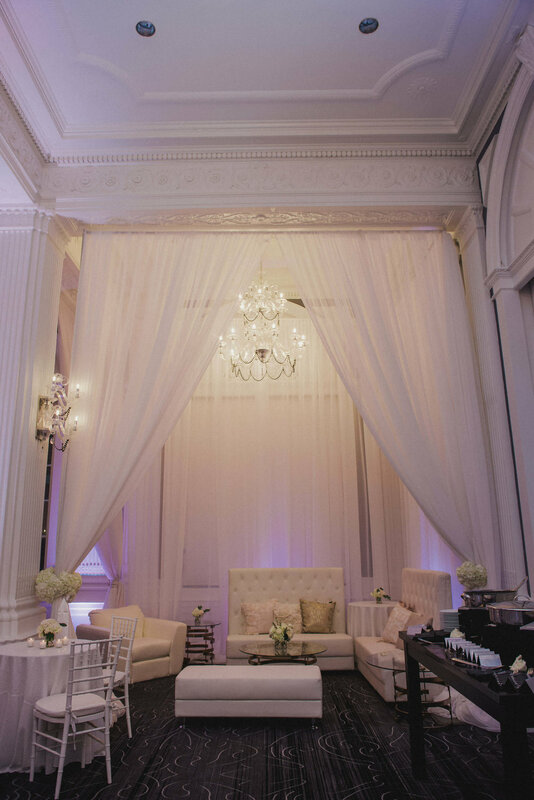 They kept with the color scheme of the ballroom and created unique seating options for their guests with our white leather lounge furniture and white chiffon drape. Ashton and Jay took a different approach to their fall wedding at the Renaissance Hotel, they opted for a custom burgundy look. They used a combination of round and oval tables in order to make the most of the space and accommodate all of their guests. For their ceremony we created a unique asymmetrical backdrop with our white chiffon drape and taupe drape. Planning your event at the Renaissance Hotel? Contact us today to start your #TotalEventsTransformation!